Welcome to our Italian page! If you are reading this page perhaps, like me, you believe Italian is the most beautiful spoken language in the world! Maybe you have a passion for the cuisine, culture, art, music or just love going there on holiday. 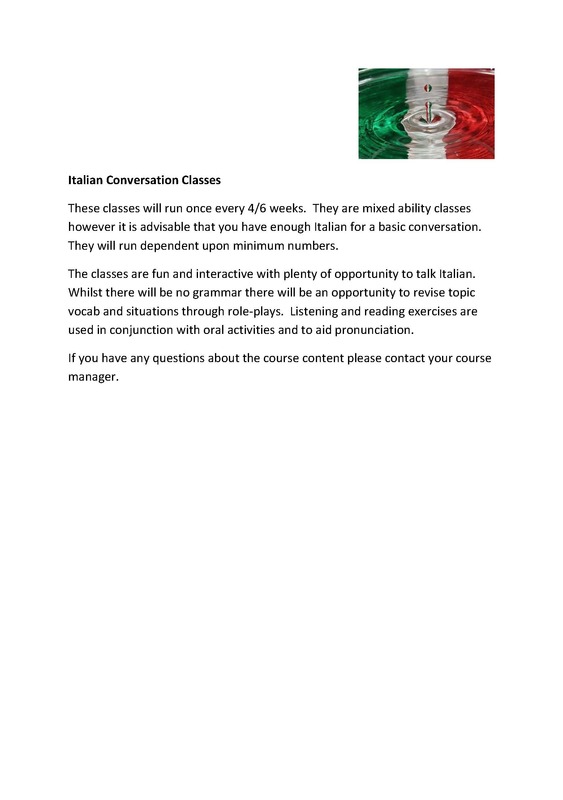 There are lots of reasons why you may be interested in the Italian language and joining one of our classes. Throughout my teaching career I have met students who share my passion for Italy and all things Italian. As a teacher one of the most rewarding things to hear is about are the marvellous experiences of my students in Italy using what they learned in class. It is true that in the major cities you do not need much Italian however if you want to get off the beaten track, and discover the true essence of Italy, its culture and people, Italian is essential. So whether you intend to visit the country or simply have a passion for Italy this is the language for you. Here at The Modern Language School, Meltham, Huddersfield we offer Italian courses for all levels both during the day and in the evening. 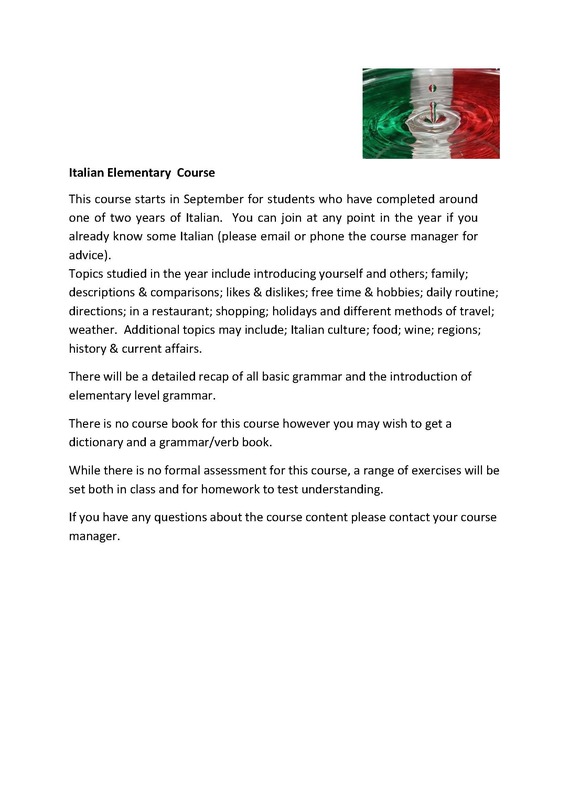 My Italian classes are structured in such a way that they allow my students to thoroughly enjoy their learning experience, a far cry from the language classes you may remember from school. I am also available for private tuition and to teach Business Italian. If you have any questions about the language classes or our school please contact me. I hope to hear from you soon. Arrivederci! Italian cinema sessions, cookery evenings in conjunction with Cafe Umbria and wine tasting are also available to our students and friends. Ciao Mi chiamo Vicky Addy. I am an enthusiastic, experienced and qualified Italian language teacher (BA Hons 2:1, PGCE) with a passion for teaching Italian and all things Italian! 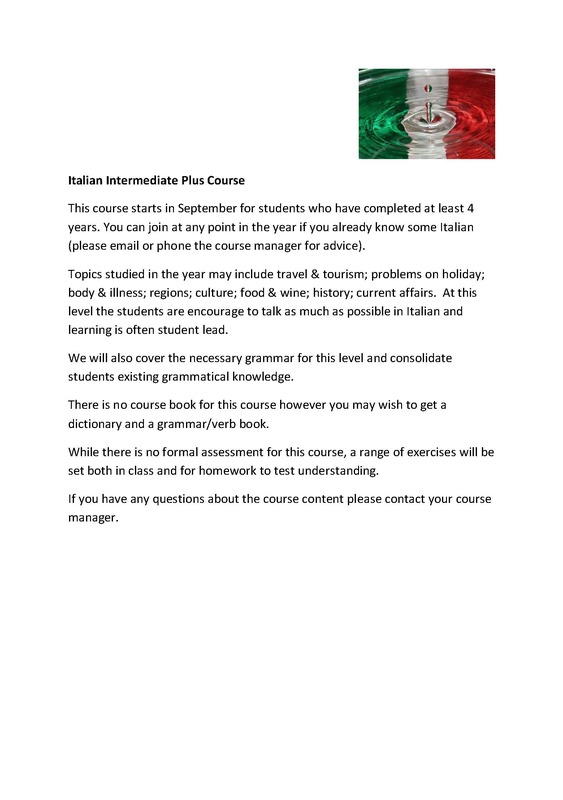 My Italian classes are of the highest standard and focus on the individual learning needs of the students. My years of experience have taught me how to get the best out of my students whilst providing a relaxed and fun learning environment. As well as being passionate about Italian, I enjoy reading, walking and family holidays in our touring caravan. Salve! Sono Nina. 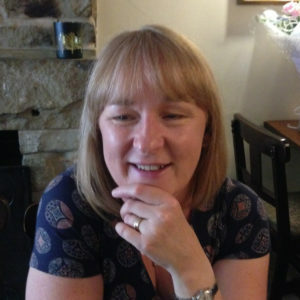 Arriving in the UK in 2006 I first worked as a German FLA (Foreign Language Assistant) in two schools in Doncaster and subsequently qualified to teach in secondary schools in 2008, but have since had two children and a career change. So I now work as a self-employed languages tutor and spend more time with my family. 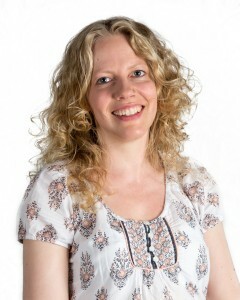 I joined the Modern Language School in autumn 2013 and really enjoy teaching and learning here. I’m still studying Italian with Vicky which is great fun and a useful reminder of what it is like to sit on the other side of the classroom in the student’s role.